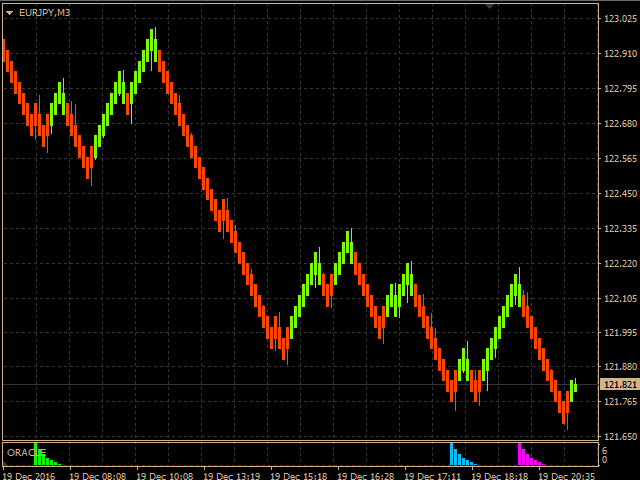 The FastPipsOracle indicator predicts future market direction and is designed specifically for Median Renko charts. 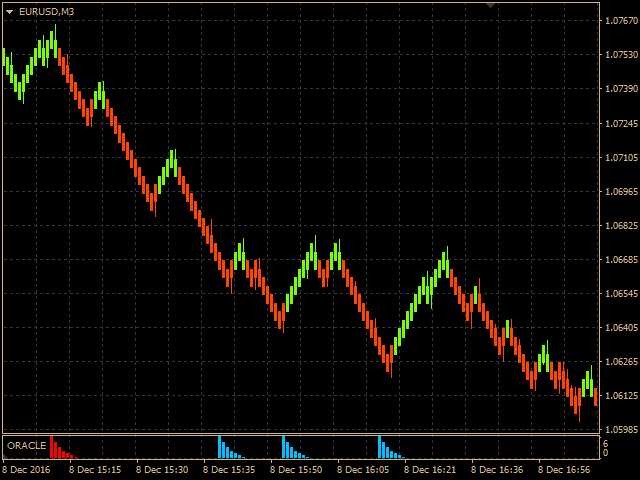 The indicators provides more reliable data on such charts, than on normal charts. 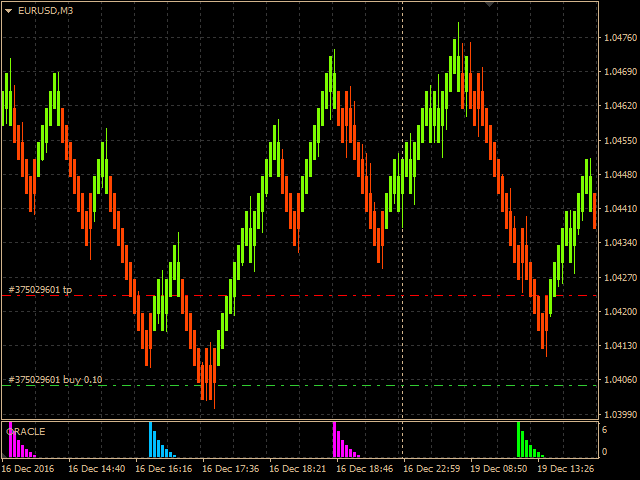 The first column of the histogram is fixed only at a completely formed bar, you should not take into account its signals on the current bar. The bars of the histogram are never redraw and do not disappear from completed bars. The main advantage of FastPipsOracle is in its leading signals. Most often it informs the trader about possible upcoming market moves, when the conditions for a price reversal are not yet seen by other indicators. While the whole range of the histogram bars is being formed, the trader has time to estimate the situation and take the right decision. The indicator provides two types of recommendation signals - "strong" signals for a longer-term entry (red and green bars) and "weak" signals for fast profit fixing (purple and blue bars). 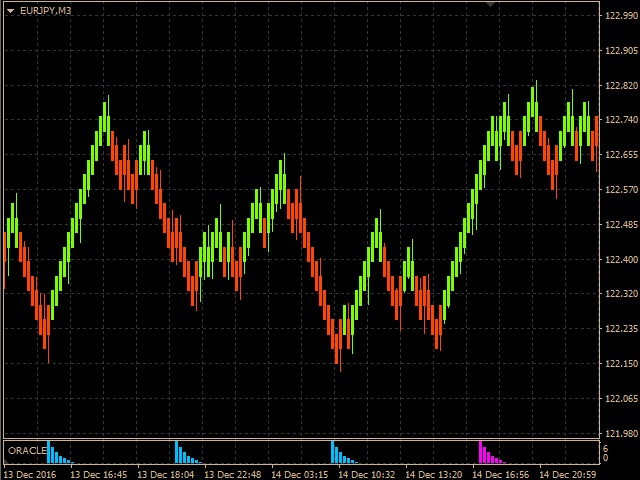 FastPipsOracle can be used as an independent provider of trading signals. 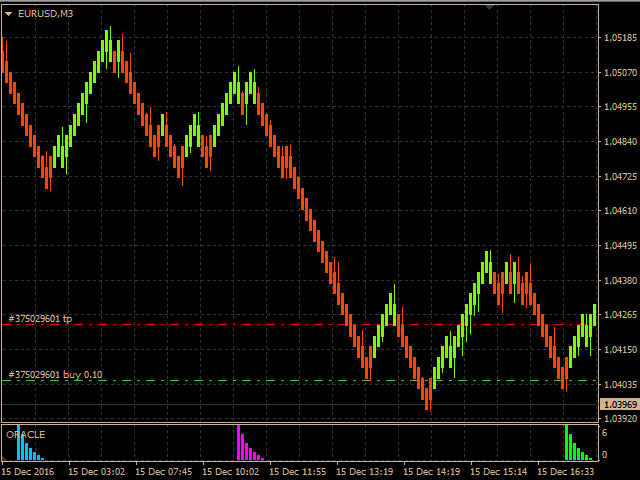 But better use it as a reliable filter for signals from other common indicators, such as trend and reversal indicators. 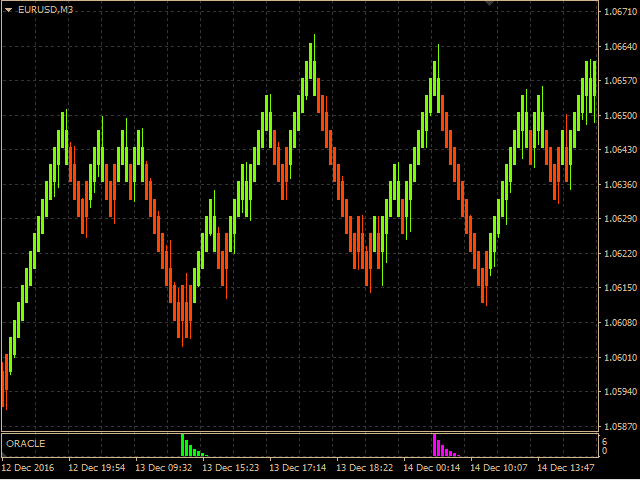 The default settings are calculated for the Median Renko charts with a step of 5 to 50 pips. Version 3.5 - added possibility to test the indicator using a small number of history bars and on slow computers.